Since the mid 19th century, Ireland’s biggest exports have been brains and brawn. When the Celtic Tiger began roaring in the 1990s, the brain drain was reversed: the economic boom has sucked in people from all over the world. With them have come better food, an infusion of new music, decent plumbers and HIV. Ireland’s Health Protection Surveillance Centre reported (pdf) that newly-diagnosed HIV cases were up by a fifth in the first half of 2007, with 204 new cases from January to June, against 337 in all of 2006. Does that mean risk behaviour in Ireland is on the rise? Possibly. There’s plenty of anecdotal evidence that heroin use is climbing, especially in and around Dublin. 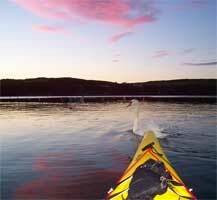 Drug busts in my part of the country are becoming commonplace; out kayaking of a morning in my beloved West Cork, I’m now as likely to come across a drug squad speedboat as a swan or an otter. But a lot of the new HIV in Ireland appears to be imported. The HPSC knows the nationality of 120 of the new cases: 42% of them are in people from sub-Saharan Africa. Only 15% of the heterosexually transmitted HIV was in people born in Ireland, compared with well over 50% of newly identified infections in gay men and drug injectors. Imported HIV is behind the rise in heterosexual infections reported in the UK, too. Headline writers who don’t look carefully at the data tend to seize on the fact that heterosexual HIV is rising in Britain, but in fact 81 percent heterosexual cases diagnosed in Britain are actually air-freighted in, mostly from Africa, while among gay guys, nearly two thirds is acquired at home. This is another indication that we need to look at our information carefully when planning what to do: Ireland, and Britain too, clearly need to keep their prevention programmes focused on the gay men and drug injectors who are at highest risk of getting infected at home. This post was published on 03/03/08 in Men, women and others, Science. Tags: Britain, HIV surveillance, HIV/AIDS, IDU, Ireland.